For most first-time offenders, deferred prosecution programs are a great opportunity to avoid having a criminal conviction on their record. With that said, deferred prosecution is not always the best option for a defendant. 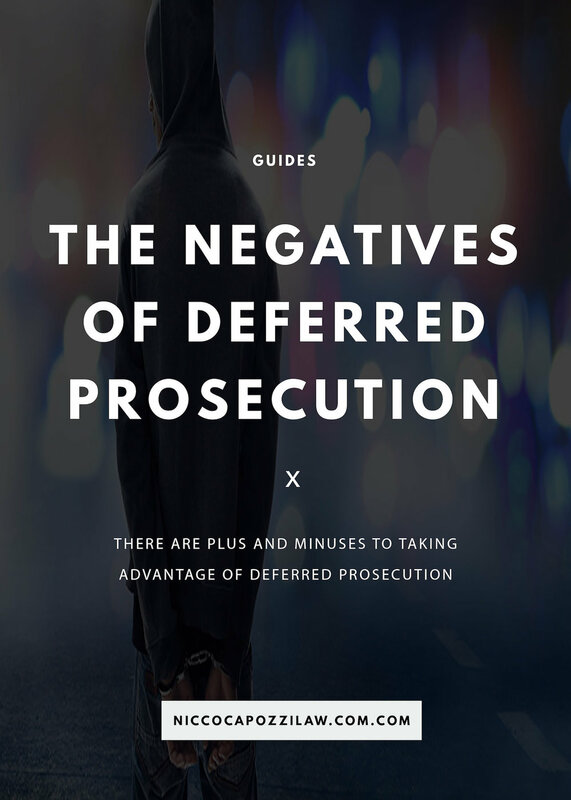 There are several negative consequences of deferred prosecution that a defendant should carefully consider before entering a program. Deferred prosecution programs can be very expensive, often costing much more than it would to resolve a case through a traditional plea agreement. In addition to the fines that are explicitly ordered, many programs also charge fees for enrollment in classes, and for supervision. In some cases, successful completion of a deferred prosecution program could cost over a thousand dollars. Additionally, if you fail to complete the program, you typically can't recover any of the money that you have spent towards it. Before enrolling in a program, make sure that you understand and can afford all of the associated costs. Another consequence of deferred prosecution programs is that they can take significantly longer to complete than a traditional plea deal. It's common for these programs to take as long as a year to fully complete. During that year, the deferred prosecution program can be a big time commitment. You may be asked to attend weekly classes, and you will likely have a significant number of community service hours to complete. This means that deferred prosecution is often not a good idea for people who already have fully packed schedules. Entering a deferred prosecution agreement can also have unintended side-effects referred to as "collateral consequences." Although completing a deferred prosecution program will keep a criminal conviction off your record, the program itself will show up in background checks in most states. To avoid this, you will have to go through additional steps to seal or expunge your record. Even if your record is sealed, deferred prosecution programs can still prevent you from entering certain jobs. For example, deferred prosecution programs can affect your eligibility for military service. Additionally, many professional organizations will consider deferred prosecution when determining whether to admit you as a member. In the end, for most defendants, deferred prosecution will be their best option. Even so, it's important to realize that these programs do have negative consequences and should never be thought of as a "get out of jail free" card. Before deciding to enter into a deferred prosecution agreement, you should carefully consider your options and speak with a lawyer in your area to be sure you understand all of the potential consequences.